Let's face it—the last thing you want to do on a hot summer day is cook anything in the oven. That doesn't mean you need to sacrifice delicious desserts. There are plenty of ways to make cool desserts, from using purchased cakes and toppings to cooking on the stovetop or in the microwave. For a quick chocolate craving, make a batch of no-bake cookies, which needs only one minute on the stovetop. Or make a sinfully sweet cheesecake or pie that needs no cooking at all. If you are planning on entertaining, let your guests build their own shortcakes with purchased sponge cake, whipped topping and a variety of fresh sliced fruits and berries. Or bake biscuits on a cool day and keep some in the freezer for those quick shortcakes. Keep frozen fruit juice pops on hand for the kids, along with instant puddings and flavored gelatin for a dessert that can be put together without a sweat. If you're short on time, soften a carton of store-bought vanilla or chocolate ice cream and add funfetti, chocolate chips, crumbled cookies, or bits of edible cookie dough. Mix your chosen ingredients into the softened ice cream and refreeze. Here are 15 scrumptious desserts to help you keep your cool. 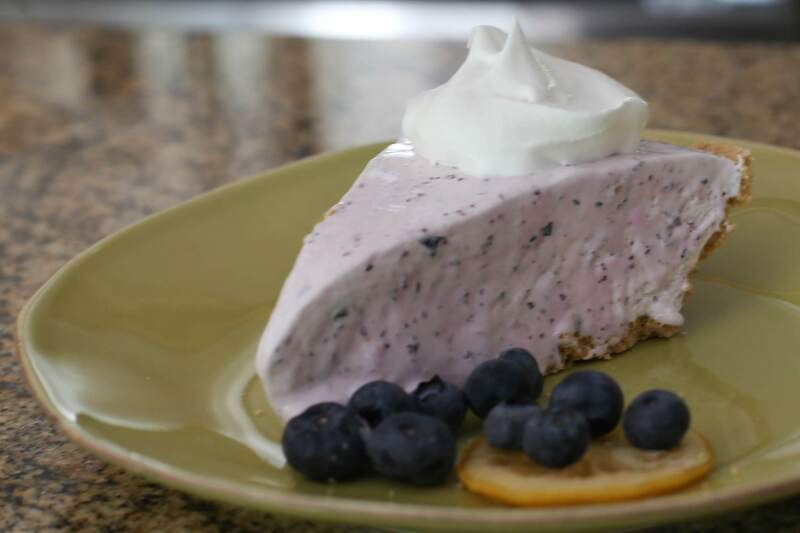 Fresh blueberries give this frozen lemonade pie extra color and flavor. The pie takes just a few minutes to mix in a blender. Just freeze and eat! The pie is an ideal dessert for a hot summer day. The kids will love these no-bake cookie dough pops. Keep some cookie dough pops in the fridge for hot days or make them for a summer birthday party. Pure maple syrup is the star ingredient in this rich ice cream, and chopped walnuts and maple sugar flakes add a bit of crunch. You will need to plan ahead for this recipe as the mixture needs to be refrigerated for 3 to 4 hours before it goes into the ice cream maker. 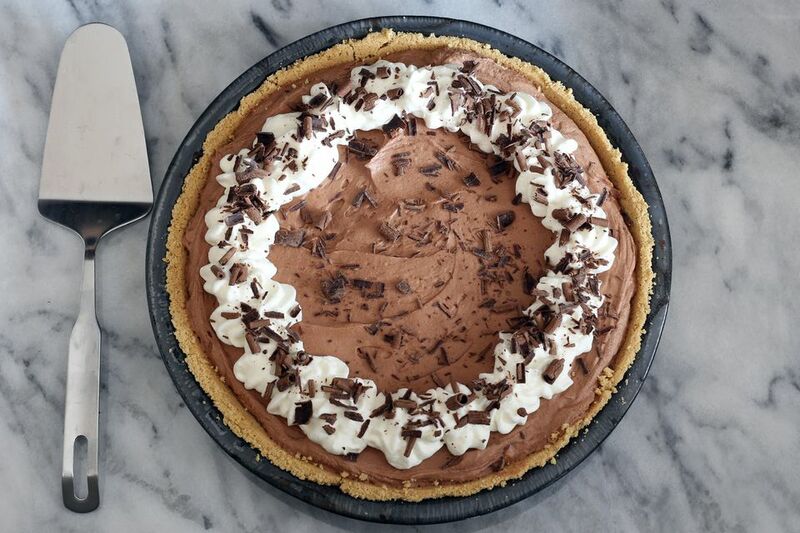 This incredible frozen peanut butter cup pie is the perfect dessert or weekend treat for a hot summer day. The classic graham cracker pie shell and simple cream cheese and peanut butter filling take no more than 10 to 15 minutes to prepare—just mix, freeze and enjoy! This easy lemonade pie is made with a three-ingredient filling. Use a purchased graham cracker crust to make assembly even quicker. This recipe is made with sweetened condensed milk but you can also make it with softened vanilla ice cream. This recipe for the popular ice cream flavor is enhanced with vanilla bean paste and sugar cane syrup. You can use chocolate chips, but if you include shaved chocolate instead it will become more like stracciatella, the Italian gelato. Surprise the kids with this popular novelty dessert. Layered with whipped topping, pudding and chocolate cookie crumbs, this adorable treat is perfect for a summer birthday party or family gathering. By using a store-bought graham cracker crust, you can assemble this creamy dessert in no time without turning on the oven. Feel free to make your own variation by swapping the chocolate pudding for your favorite flavor, or add chopped candy bars or banana slices to the top. This simple chocolate cheesecake requires no oven time whatsoever. The filling includes melted chocolate chips, sugar, cream cheese, and butter, mixed with whipped topping and chilled in a graham cracker crust. Don't wait for the Fourth of July to enjoy this fabulous ice cream. The vanilla ice cream is accented by swirls of raspberry sauce and blueberry jam to create a delicious and beautiful frozen treat. Buttermilk might not be the first ingredient that comes to mind when you think of ice cream, but you'll be pleasantly surprised when you taste it. The tang of the buttermilk in the sweet, creamy ice cream is pure heaven. This creamy peanut butter pie is a snap to throw together with a graham cracker crust, a thin layer of fudge and a cream cheese and peanut butter filling. Make this special and delicious dessert for any occasion. Just because it is summertime doesn't mean you can't have pumpkin! Treat your guests to this impressive but easy pumpkin pie. And it really takes only 10 minutes to prepare, especially if you use a store-bought graham cracker crust. This candy is a breeze to fix with melted chocolate chips and sweetened condensed milk. Feel free to leave the bourbon out or replace it with a liqueur fruit syrup. It's hard to believe this delicious cream cheese dessert requires no cooking. The graham cracker crust is chilled, and then the cream cheese filling is added. Use purchased or homemade cherry pie filling in the recipe.